If you spend enough time on the internet, you start to think that you are the laziest human on earth. How are these moms turning pallet wood into castles and old onesies into gorgeous memory quilts? I mean, who has the time? I love baking and crafting as much as the next person, but even if I had a few hours to devote to being creative (which would truly be luxurious), I do not have the talent of some of these artesian mamas out there. The good news is, you don’t need hours or mad-skills to create some fun and festive decorations for your home. You, and your eager kiddies, can do some great traditional crafts while waiting for dinner to cook, or even while watching Rudolf before bed. 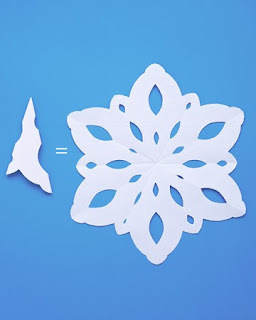 · Snowflakes – Easy and beautiful, all you need to do is fold paper several time on to itself, cut out little chunks and shapes, then unfold to reveal your unique creation! You can round off the edges, or add glitter to take it to the next level. · Christmas Trees – Cut a basic tree shape from green cardstock or construction paper, and then embellish your design with coloured shapes taken from old cards or Christmas wrap! This is a fun way to make a Santa list too, using a catalog for the presents. · Pasta necklaces – That classic accessory of parenthood; design a piece for granny, or a special accompaniment to your holiday outfit. Use colourful ribbon or yarn to start, and add paint to really show off your style. 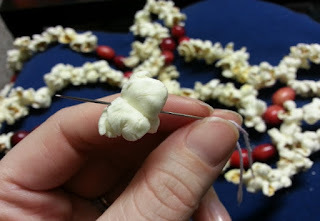 · Paper chains/popcorn garland – Is there anything more traditional than a great garland for the tree, or to decorate a play space? Try adding fresh bay leaves or cranberries with your popcorn for the scent and colour! If you are worried about your child with a needle, there are plastic crafting ones available at most big box stores. · Dough ornaments – Use this recipe as your base, then add a small amount of food colouring, or paint afterward. If you have trouble thinking of shapes, us cookie cutters as a mold. Don’t forget a small hole using a toothpick, so you can add string! 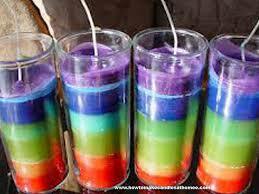 · Candles – a favourite craft from my childhood, they are way easier than you think! Using wax granules from a hobby store, melt slowly in a pot on the stove to a liquid consistency. This is a great way to use up some old, broken crayons as colouring! Tip: Tie a wick to a straw so it doesn’t fall in to your shape! You can line a toilet paper tube with wax paper, or find a cute jar from the dollar store!